Denis Kelleher is founder and CEO of Wall Street Access. Since 1981, Wall Street Access has combined an independent, entrepreneurial culture with a powerful platform to build and operate a diverse set of successful financial services businesses. 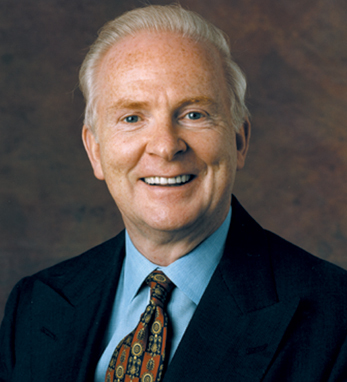 Kelleher, the son of a shoemaker, left his native Kerry in 1958 and landed on Wall Street as a messenger boy with Merrill Lynch soon afterwards. The night before emigrating he had come home late from a dance in a nearby village of Rathmore and found a note from his sister saying that the ticket to America was waiting for him at Shannon Airport. That was all it took, and the next day he left his old life behind forever. Through dynamic financial talent, he rose dramatically through the Merrill Lynch company ranks until 1969 when he founded Ruane Cunniff and its Sequoia Fund. In 1981 he founded Wall Street Access. Despite his extraordinary success, Kelleher never lost sight of his humble roots. When the issue of Irish illegal immigration became a major problem in the 1980s, he was one of the chief underwriters of organizations seeking to legalize the undocumented. He has also been a major contributor to the American Ireland Fund and has his own special scholarship fund in his native Kerry to help promising students. He was awarded the Ellis Island Medal of Honor in 1995. Kelleher is a graduate of St. John’s University, where he currently serves as a member of the board of trustees, previously serving as chairman of the board for eight years. He is director of The New Ireland Fund, member of the board of trustees of the Metropolitan Museum of Art and a member of the Staten Island Foundation. In 2005, Kelleher was Grand Marshal of the St. Patrick’s Day Parade in New York City. He lives on Staten Island with his wife Carol. They have three children and eight grandchildren.